KeyBank is available in the Illuminated and Touch systems. Designed as a replacement system for manual key storage and tracking, the KeyBank® key control system eliminates outdated key boxes and the paper chase created by outdated manual logs and provides extensive protection from liability issues. The key management system offers high-volume key facilities increased security and control, preventing unauthorized key access and reducing lost or misplaced keys. Computerized control and real-time accountability offers system managers increased productivity and reduced liability. 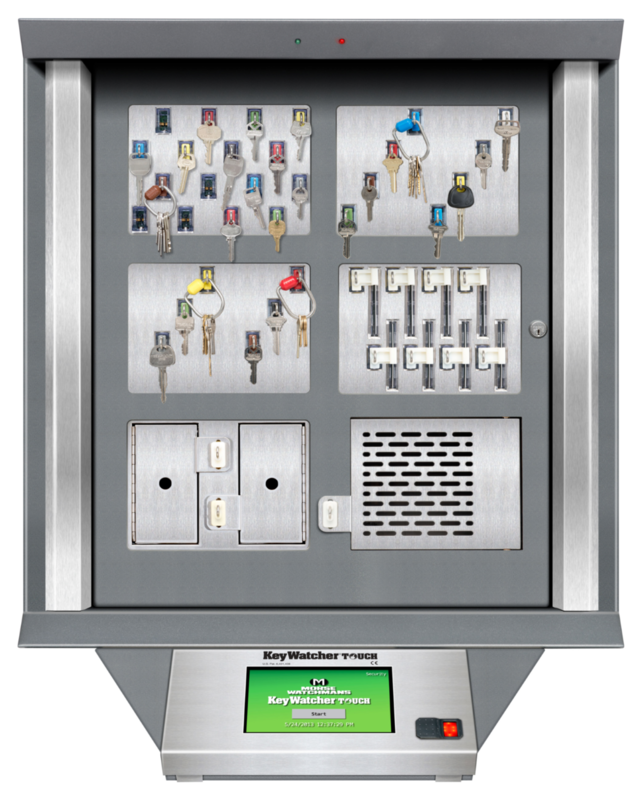 Morse Watchmans also carries a touch screen version of this key organizer system, KeyBank Touch. 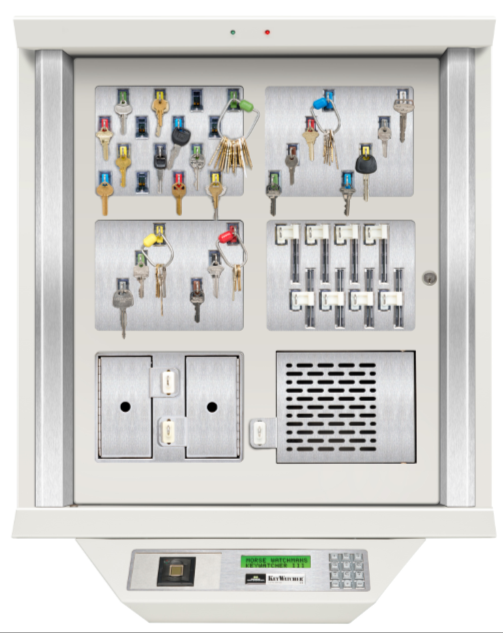 This key storage system provides additional functionality and integration capabilities. The KeyBank® features an updated storage system with individually illuminated SmartKey locations. This allows for instant visual identification of the SmartKey requested by the user. Electronically monitored, color-coded and virtually tamper-proof, SmartKeys communicate directly with the KeyBank® system. The access history of each key is instantly recorded, so you always know who has which key and when it was taken.